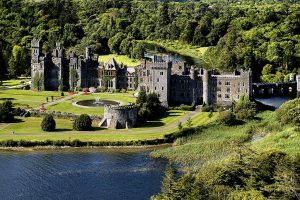 Let someone else do the driving and get chauffeured while you visit the beautiful Irish castles! Traveling can be exhausting, particularly when you are driving from place to place to explore new regions. With private chauffeur tours of Ireland, you don't need to stress over getting lost, driving on the wrong side of the street, or missing sights! Chauffeur trips in Ireland are in fact offered precisely so you can sit back, unwind and appreciate the beautiful Emerald Isle. Your chauffeur may also act as a personal tour guide! He will take you wherever you need to go and share his insight and experiences of the places you visit. You get an amazing chance to travel with a locale with interesting experiences and information that submerges you into the zone's way of life and get the most out of your day tour. He can even help you explore hidden gems which you wouldn't have known about otherwise! With a restricted amount of time out of town, you obviously want to guarantee you see everything! This is likely only when you take a drive tour with a chauffeur along as they know how to rightly navigate through their country. They know which course will be the quickest or the lengthiest relying upon your needs. They will likewise have the capacity to get you from one location to another in a systematic manner which can save a lot of time that can be further spent to see more of gorgeous Ireland. Additionally, with private chauffeur tours of Ireland, driving through the wonderful farmlands and beachfront streets make for some picturesque views. The drive tour itself is half of the experience and is something you would prefer not to miss. Driving on your own, however, can meddle with your capacity to see the sights and take in the splendid scenes. By choosing to go on a chauffeur trip in Ireland, you simply enable yourself to glance around at passing cliffs, towns, or homesteads while the driver deals with the rest. Snapping pictures en route is another strong reason to have a chauffeur-guided drive tour in Ireland. They are locals so they can truly help you explore the area. They get detailed training to provide satisfactory services. They tailor the day tours to your needs/wishes. Chauffeurs value comfort and safety. In conclusion, traveling or vacationing may get tiring instead of being relaxing if you choose not to go for private chauffeur tours of Ireland. You are on vacation so there’s no need for you to get in the driver's seat following a full day tour and exhausting yourself with all that driving around. So, pack your bags, book a chauffeur trip in Ireland now, and make the most of your get-away. After all, you don’t want to miss out on the stunningly built Irish castles or the flowing green lands as you drive through!